Is it no wonder my efforts to create this site have presented me with yet another challenge… a technological challenge! I find myself sitting with a glass of water while reading through endless sites, tutorials and notes determined this is something I can do… Yes, I can. As a caregiver and mother, I wonder too if my son “senses” something is taking my attention away from him and his incessant needs. Since his birth, it seems each time I find the time and courage to venture into a new project he has yet another health issue to pull me away from ME! To some that may sound predictably selfish. However, after twenty-five years of denying me, I am unapologetically entitled to a little “ME” time. Initially, the plan was to delay “launching” this site committed to having everything in order (my usual self), but others encouraged me to, “Just do it!” No regrets… yet. Just pressure, self-imposed… because I now feel compelled to not disappoint those who have given me wonderful and encouraging feedback from my initial offerings. Believing it is my season to grow me, I’m committed as well to the success of this adventure! In a previous post I wondered aloud if food was art, science or history and without a definitive conclusion. It’s a certainty that without water, none of it works… None of us work! So why not water as my all-important food shot of the week? 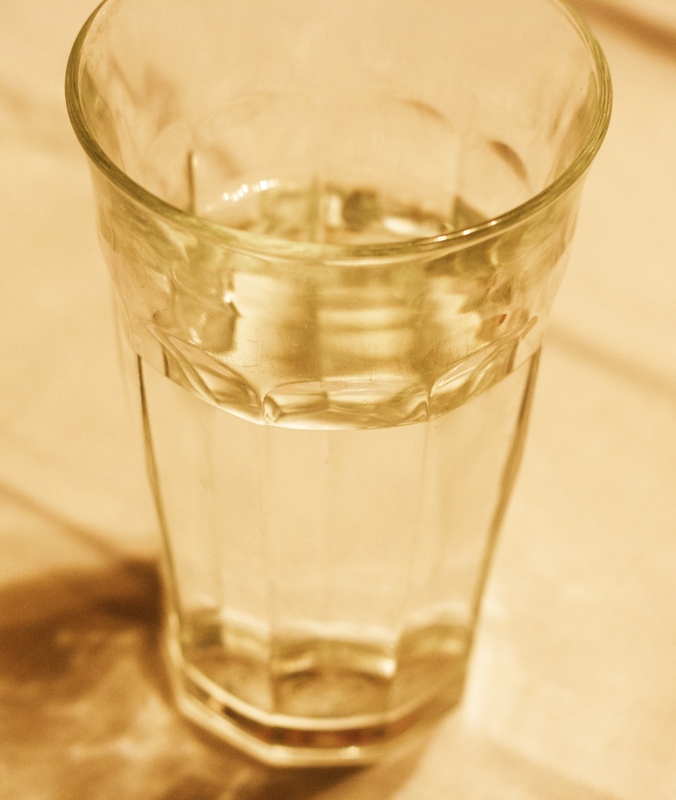 Staying hydrated with good, filtered water is a necessary component to healthy living. Keep in mind, not all bottled waters are equal and start anew with the thought to purchase a good water bottle, filter your own water and for those wanting extra electrolytes, a pinch of Himalayan salt fused with freshly squeezed lemon is a healthy thing. Personally, I start each morning with a glass of water and a squeeze of a fresh, organic lemon. I have some exciting dishes on the menu for this coming week… Including one of my favorites, lamb. Plan as well to preserve some lemons and perhaps make a jelly. The “hot item” this week from my TINY KITCHEN has been homemade granola… producing GREAT TASTES… Seriously, once you make your own granola, the store-bought stuff becomes tasteless… And this was created from a BIG HEART … to have a healthy, delicious snack for those I love most in the world. Combine and mix all ingredients well… Line your baking sheet with parchment paper. Spread ingredients evenly and bake in a 200-250º oven until golden brown. Stir every 7-10 minutes or so to brown evenly. After 20 minutes or so, remove from oven. If you can, let cool. You can store this in an airtight container for up to a week… It will not last long. Oops… Salt.If you need or want salt, after removing from the oven a few twists from your salt grinder will salt it nicely. Or, a pinch or two from your open container.